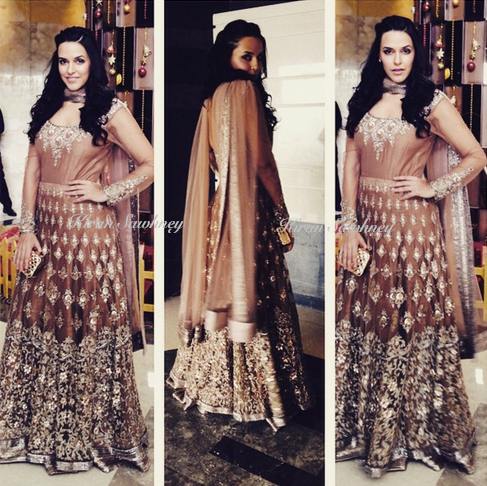 Neha Dhupia in Delhi for an event by Asian Paints. She wore Manish Malhotra outfit. She kept the hair in a side parting and partially pinned and carried a metallic clutch. Although, such a heavy outfit is not our cup of tea, she looked good.